I love this non candy idea for Halloween. These would make wonderful treat bags to hand out in class or to use as a Halloween themed counting maths activity within the lesson. 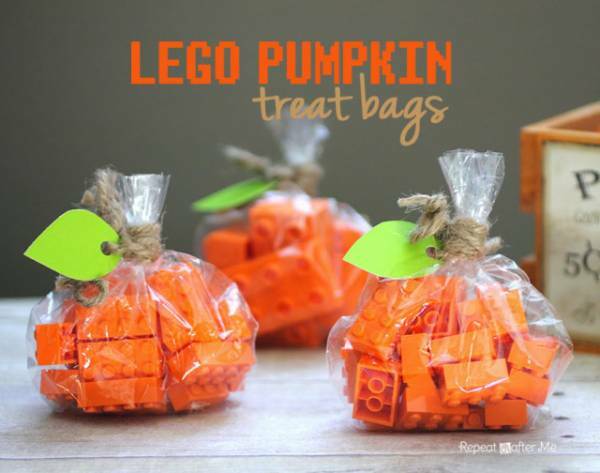 You can find out the full tutorial and where to buy Orange lego by reading the full post here. Loved this, but you can only buy one bag of 100 small legos. Others are full price and that’s pretty pricey. And in my neighborhood, even if broken down into 20-25 each bag, I’d need over 40 bags! !